Wild and untamed Dartmoor is a natural playground for adventurous types. Occupying more than 350-square-miles between Devon’s north and south coasts, the national park offers hiking in heather moorland, climbing on granite tors, kayaking in fast-flowing rivers and wild swimming in secret pools. Of course, there’s camping and glamping too and our camping experts have selected the best sites in and around Dartmoor to feature in this collection. Heather moorland, free-roaming Dartmoor ponies, granite outcrops and ancient stone circles give Dartmoor an other-worldly feel. It’s little wonder that it’s inspired artists and writers including Arthur Conan-Doyle and Agatha Christie. There are footpaths and trails right across the national park which make exploration easy whether you prefer walking, cycling, horseriding or climbing. And although no part of the park is on the coast, it’s great for water-loving kayakers and wild swimmers too as there are plenty of places to take the plunge and a southern edge that’s just half-an-hour from the famous beaches of Tor Bay. We think camping is the natural way to holiday in this Devonshire landscape and the best campsites in Dartmoor National Park have been hand-picked for the Cool Camping collection. We’ve been up in the high moorland and down in river valleys to find the very best places to stay. From simple tent camping sites to luxury glamping sites, we’ve only given the thumbs-up to places that offer something special. Just what that special something is, can be as enigmatic as Dartmoor itself. From military training to Duke of Edinburgh expeditions and Bear Gryll’s survival school, Dartmoor is often chosen for outdoor challenges. Its wild open spaces lend itself to all sorts of adventurous activities including wild camping. It is, in fact, the only place you are legally allowed to wild camp in England with byelaws in place to protect the right to pitch a tent. Check out our guide to wild camping in England for more details and stick to the sensible guidelines laid out by the national park authority if you’re going to go it alone. But while lots of us might like the occasional night in the wild, a campsite has the upper hand for families and those who like facilities. 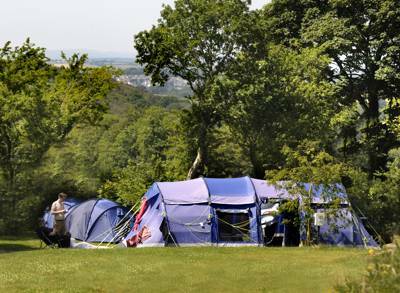 Thankfully there’s a range of campsites in Dartmoor and the surrounding Devon countryside to cater to all tastes. There are some no-frills campsites which still give you a wild feel and there are some where you can plug in to an electric hook-up and expect hot showers morning, noon and night. Here at Cool Camping, we prefer independently owned and run places where there’s natural charm and flair. We don’t go in for holiday park-style sites so the campsites we recommend tend to be smaller places with fewer pitches but, hopefully, plenty of personality. In Devon and Dartmoor, the type of sites vary with the landscape from woodland sites to places with riverside pitches. Campsites tend to be around the edges of the national park as there are great swathes of land within its boundaries with little by way of infrastructure or population. This is especially true in the north of Dartmoor, one of the areas where wild camping is allowed. If you love returning to a few home comforts after a day in the wilds, why not leave the backpack camping to others and book yourself in for some glamping in Dartmoor? You can still enjoy the wild side of the national park by hiking, climbing, running, cycling and kayaking to your heart’s content during the day, but get to settle down in comfy accommodation at night. With glamping there’s no time wasted setting up tents as someone else will have done it for you. That’s if you’ve decided on tented accommodation. 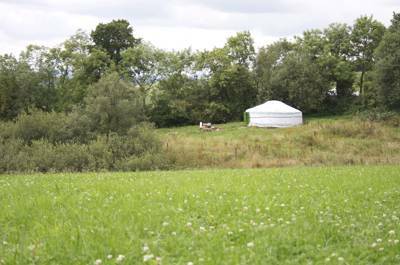 Safari tents, yurts and bell tents are all options on today’s glamping scene but there are also more solid options. Shepherds’ huts and glamping pods as just two examples. These might offer a little more protection from the notoriously changeable weather of Dartmoor and a cosy place to hide away out of the summer months too. Glamping is great for families with young kids, who might struggle to pitch a tent with toddlers in tow and for people who want to try camping for the first time. With candles, campfires and cosy living, it can also make a romantic getaway for two. And if you really want to push the boat out, choose some truly glamorous camping by looking out for places with luxurious touches – en suite bathrooms, fluffy robes and perhaps even a private hot tub. Dartmoor is a great place for active families to go on holiday – and, of course, we would argue that camping is the best way to stay. We’re pretty sure your kids would say the same. We’ve travelled the length and breadth of the country looking for family-friendly campsites and have even written a Cool Camping Kids book based on our experiences. If there’s one thing we’ve learned it’s this: kids love camping. For kids, camping means playing, eating and sleeping in the great outdoors and the chance to meet new friends on site. It’s one big adventure – wherever you pitch up. If you choose Dartmoor, you’ll also be able to take them hiking, cycling and canoeing which makes it great for families with older children. There are plenty of family-friendly activities and attractions too from wild animal parks to tree-top adventure playgrounds. The seaside is within easy reach of the southern side of Dartmoor National Park too – and with ice cream, fun fair rides and amusements, that usually makes a good day out for all ages. One of the UK’s 15 designated national parks, Dartmoor is styled as “one of Britain’s breathing spaces”. Along with the Peak, District, Lake District and Snowdonia, it was one of the first places to be protected in this way – way back in 1951. 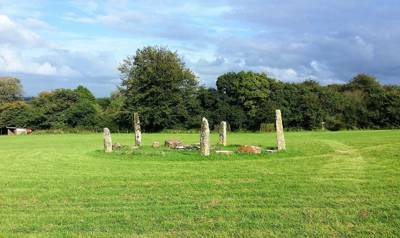 It’s not the highest or the largest of the parks but it does have the most scheduled ancient monuments within its boundaries: more than a thousand recognised sites which provide evidence that people have been living on Dartmoor for 10,000 years. Among the natural granite outcrops, there are distinctly unnatural stone circles, burial mounds and more that show archaeologists about the people who lived here in the past. 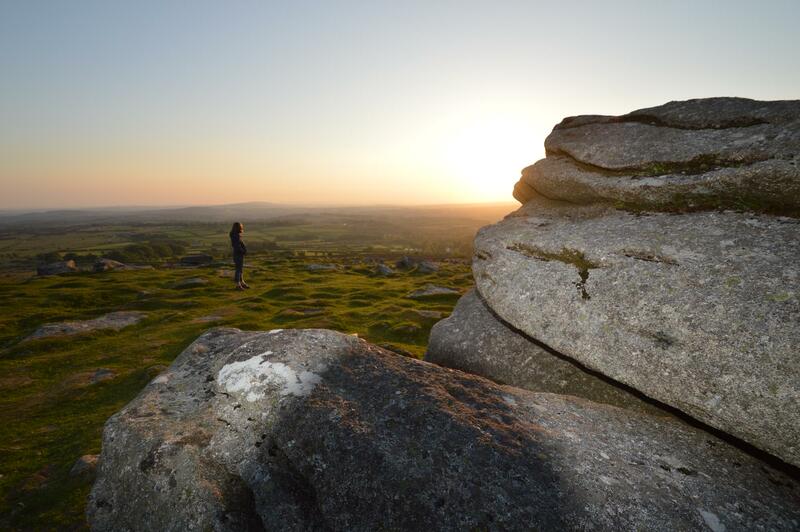 It’s both the beautiful landscape and this cultural heritage that meant that Dartmoor was deemed worthy of national park status. A couple of clues to some of Dartmoor’s landscape features are, of course, in its name; it’s a moor around the River Dart. The high moorland is covered in peat and blanket bogs alternating with grass and open heath – it’s southern England’s largest moor. Tors, or granite hills, stand out as high points in the heath with High Willhays, at 621 metres, the tallest of the lot. The River Dart is one of many which rises in the high moorland and, over time, has cut deep valleys, many of which are wooded. And while there’s lots of open grazing land, there’s also enclosed farmland and fields across Dartmoor too. The fact that the park is sparsely populated and relatively undeveloped means light pollution is low and those wide open skies over the moor light up with stars on clear nights – a treat on any Dartmoor camping holiday. The wildlife of the national park is another of the things that makes it special; the most obvious are the free-roaming Dartmoor ponies. There have been ponies here since prehistoric times and they’re such a symbol of the park that they were chosen to feature on it’s logo when the park was designated. The way they graze out on the moor helps make special habitats for other plants, insects, birds and animals. During a camping holiday here you can look out for all sorts of fascinating wildlife from moorland birds to otters and (who would have guessed it) the world’s largest slug – the ash black, which can grow to up to 20 centimetres. Much of Dartmoor is sparsely populated but there are market towns and villages to visit with historic sites, shops and amenities which make them worth the trip. Around the park’s fringes there are lots of places to visit too from bustling Plymouth on Devon’s south coast to the easy-going and historic market town of Totnes. Within the park itself, places that act as magnets for visitors are Postbridge, with its medieval stone bridge and national park visitor centre, Princetown from where you can enjoy walks and cycle rides on a disused railway line, and Okehampton with access to the park’s highest tors. Widdecombe-in-the-Moor is a pretty and historic village with tea rooms that are just right for a Devonshire cream tea (cream on top of jam, obviously). On the park’s western edge is Tavistock in the Tamar Valley, the birth place of Sir Francis Drake and part of the Cornwall and West Devon Mining Landscape that’s been recognised as a World Heritage Site by UNESCO. 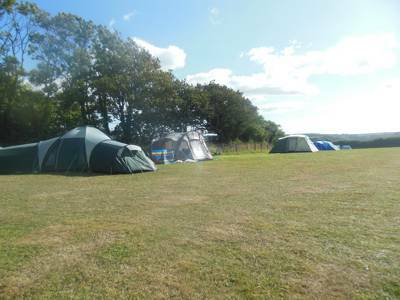 There’s lots to do when you’re camping in Dartmoor and your campsite will probably have information on site about things in the immediate area. But other great places to head to for advice are the national park visitor centres at Haytor, Princetown and Postbridge. If you’re looking for tips on walks in the area, you won’t be disappointed as there are hour-long routes from each of the centres. The advisers there will also let you know about any guided walks but for more experienced walkers, just grab an OS Map, plot your route and go – heading out to explore and test your map-reading skills on the moor. The Dartmoor-specific pastime of letterboxing might give you some places to aim for. Very similar to geocaching, but with its roots in the 19th century, letterboxing challenges adventurers to get out on the moor and find a “letterbox” where you can stamp a book to say you’ve visited. Although cyclists won’t be able to wheel through Dartmoor’s open-access land, it shouldn’t restrict their fun as there are plenty of quiet lanes and more than 200-miles of bridleways and byways. These also make horseriding a fantastic way to get around. Dartmoor’s granite tors make it an attractive destination for climbing and bouldering too. The national park visitor centres are also a good place to find out about routes but the Haytor Fur Tor, Bonehill Rocks and Dewstone are some of the highlights. The rivers Dart, Teign, Taw and more all rise in Dartmoor meaning that there are plenty of opportunities for waterlovers from kayaking and canoeing to wild swimming and fishing. It’s almost impossible to tire of exploring Dartmoor’s natural highlights but if you manage it, you could look to some of the manmade features in the national park. The National Trust offers Castle Drongo, an Edwin Lutyens-built 20th-century castle overlooking the Teign Gorge, and Buckland Abbey, in the Tamar Valley. But the National Trust also looks after some of the most-beautiful natural highlights of the park too including the Lydford Gorge with its 30m waterfalls. Families and wildlife lovers will be thrilled to see the free-roaming Dartmoor ponies during their trip, and there’s more horsey fun at the Miniature Pony Centre. For exotic animals head to Dartmoor Zoo. There’s more family fun just outside the southern edge of Dartmoor on the South Devon Railway which has vintage trains running from Buckfastleigh to Totnes and it’s a drive of about half an hour to reach the south coast beaches of Torbay. For more information on things to do in Dartmoor take a look at the Visit Dartmoor website. Campsites Camping in Dartmoor National Park Devon at Campsites in Dartmoor National Park, Discover Devon's greatest moorland with a camping holiday in Dartmoor National Park. 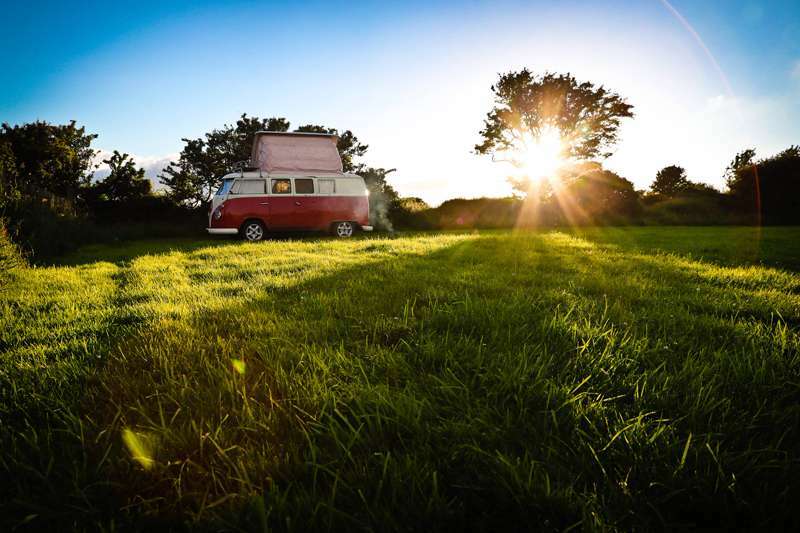 Check out our list of campsites in the area and you’re sure to find something, whether it be a spot to pitch your tent, a campsite to park your campervan in or a glamping site.